Your friends and family probably have smartphones too, and if you’re on a reliable data plan, your phones can be the ultimate tool for trying to find great new restaurants to dine in. Just download the Zomato app, and get cracking! 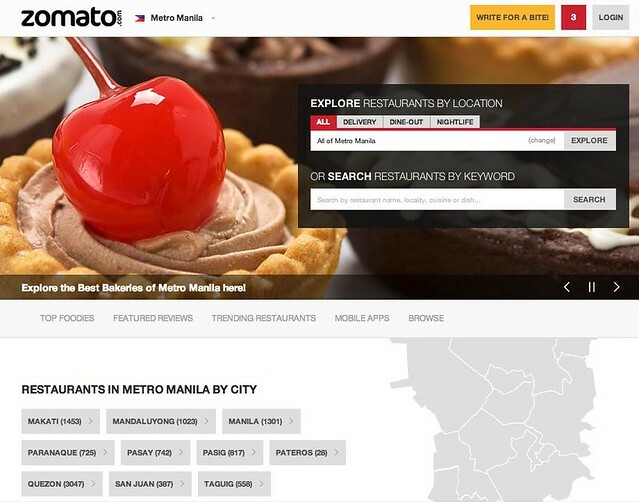 Anyone who’s ever tried to do a restaurant search on the web will be familiar with Zomato, and while there are other restaurant search apps out there, there aren’t any quite as extensive as Zomato. The app has even recently been updated for iPhone 6 and 6 Plus. Recent updates also include the ability to draw out your search area, and the option to customize bookmarks. The services of the app are also available in about a hundred other countries, so it’s the only app you could ever need, even when traveling a lot. Of course, for a more Filipino experience, you could try looloo, a homegrown app that does pretty much the same thing. Unfortunately, looloo is still being developed, and the community is still growing, so for now, Zomato still reigns supreme. This entry was posted by Leslie Anne Go, who has written 8 posts as leslie, on Thursday, November 22nd, 2012 at 8:01 pm and was filed under News.